Pumpkins have so many uses beyond Halloween and food. 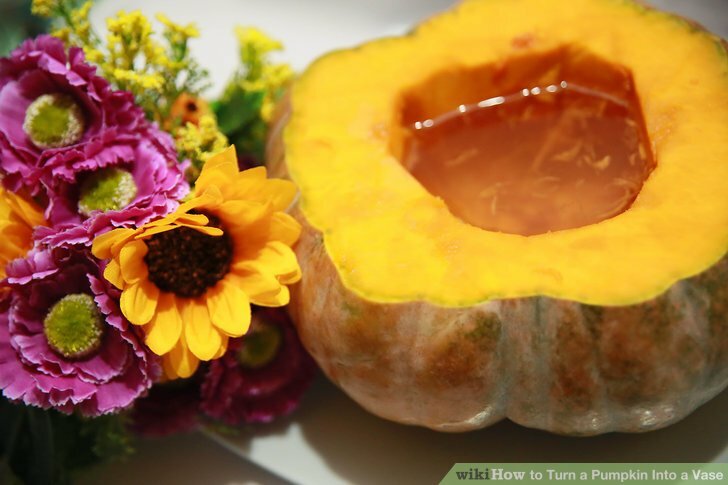 They can also make a terrific vase that can be added the table for Thanksgiving or just because you have a spare pumpkin that needs using up. Select a good quality pumpkin. 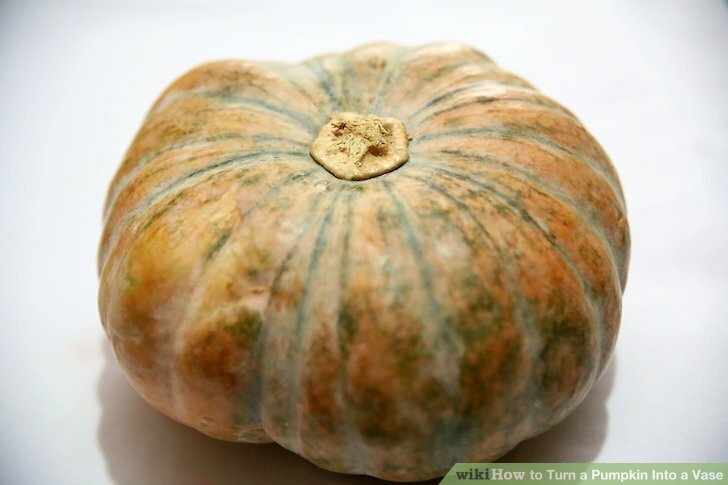 The pumpkin needs to be firm, unblemished and able to sit well without rocking. If needed, slice the base very thinly to make it sit straight. If this can be avoided though, it's best left alone. 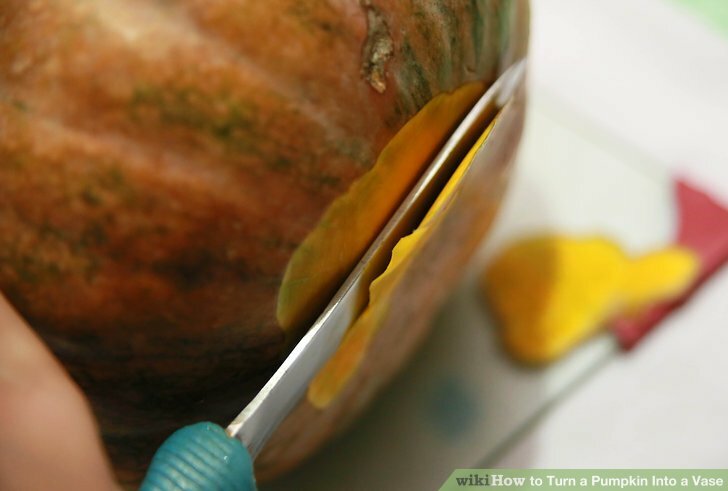 Cut the top of the pumpkin off with a sharp knife. Scoop the flesh out of the pumpkin. 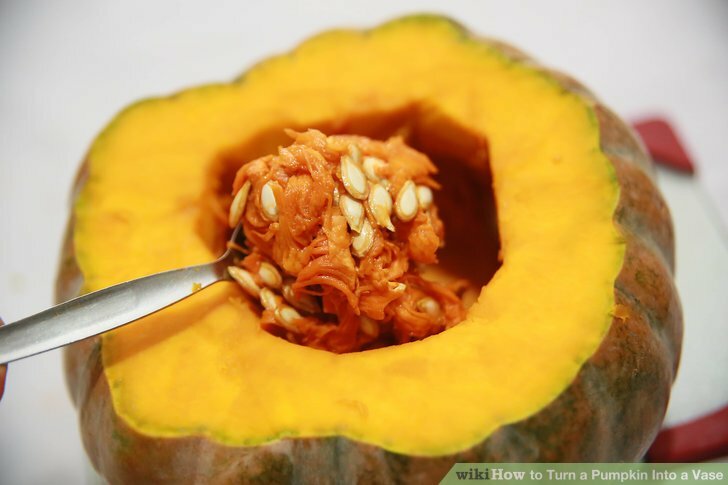 Use a strong spoon or a proper pumpkin scoop to do this. The flesh can be kept to make soup, etc. 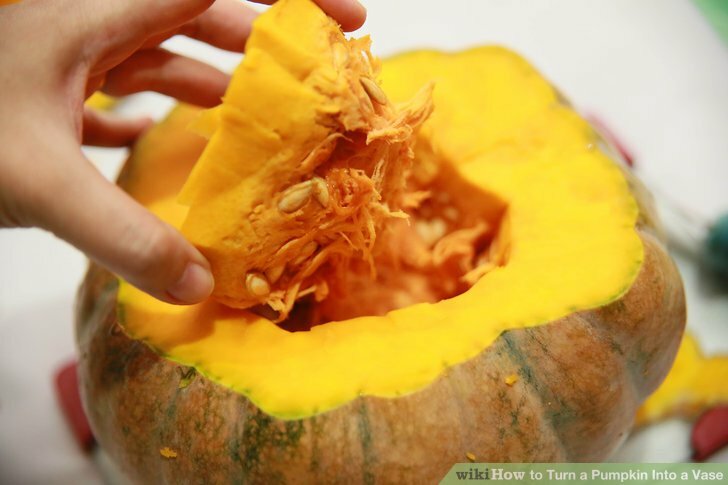 Leave a layer of flesh around the edge of the pumpkin. This creates a waterproof layer. 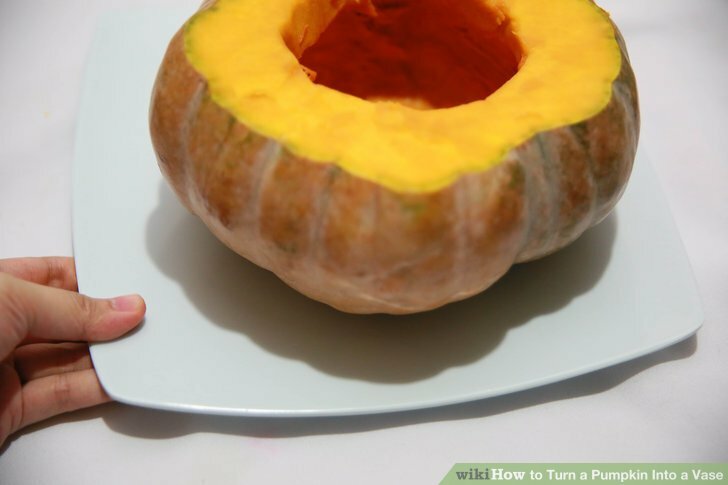 Place the pumpkin on a large flat plate. You can add a doily to the plate first if wished. 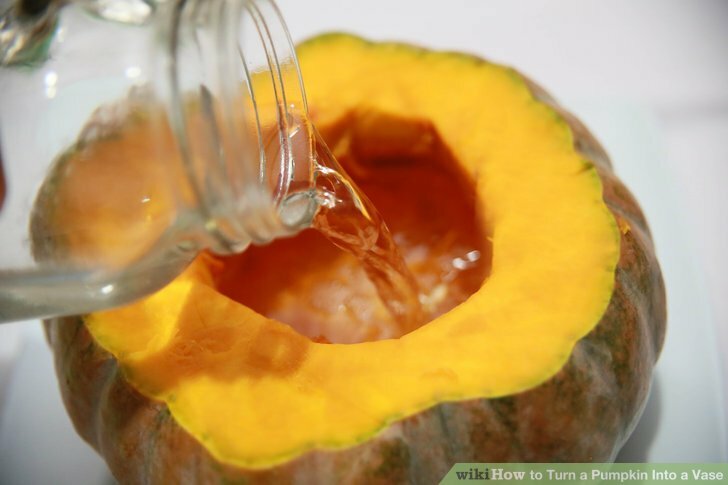 Pour water into the pumpkin. Add the flowers. 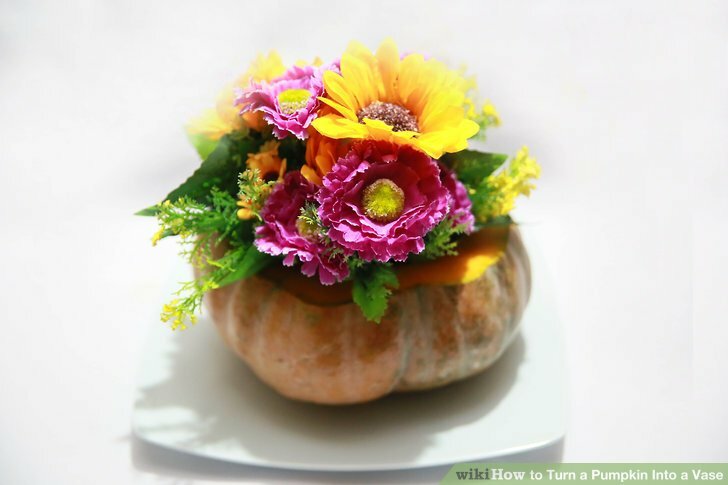 Try to choose flowers with orange and yellow colors, to keep the pumpkin or squash theme going. Place on the table or wherever else you're displaying the pumpkin vase. Rearrange the flowers to make them perfect, if needed. 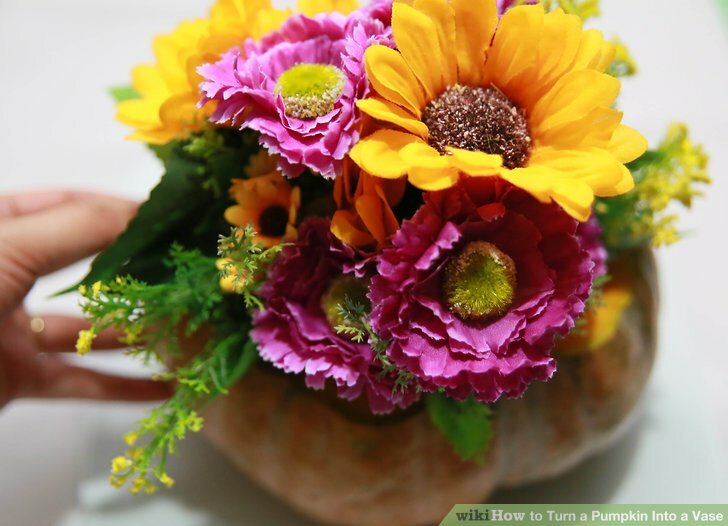 When finished, throw the pumpkin and flowers into the compost. There is no need for washing any awkwardly shaped vase. All done! You could also turn a melon or a squash into a vase.